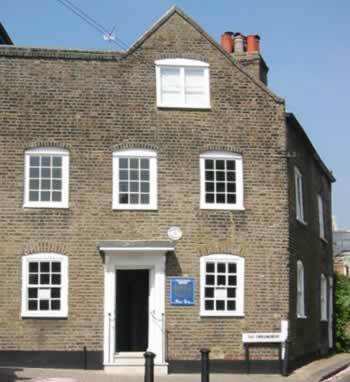 Visit the museum at 25, The Embankment Twickenham, TW1 3DU, United Kingdom. We are open: Tuesdays and Saturdays, 11.00am to 3.00pm; Sundays, 2.00pm to 4.00pm. Telephone: 020 8408 0070, during opening times only. This website introduces the history of Twickenham, Whitton, Teddington and the Hamptons. Featuring many people and where they lived, it is the counterpart of the Museum itself which is housed in a small building that can only display, or store, a fraction of our recorded past.